Yeah, I say this was terrorism! UK Telegraph reports a gunman dressed all in black opened fire on a busy Toronto street, leaving one woman dead and 13 people injured - including a young girl. The attacker also died in the rampage in the Canadian city's Greektown district on Sunday night. 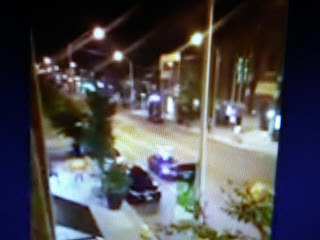 A video from one witness shows a man dressed in black clothes and a black hat walking quickly and firing three shots from the pavement into at least one restaurant.